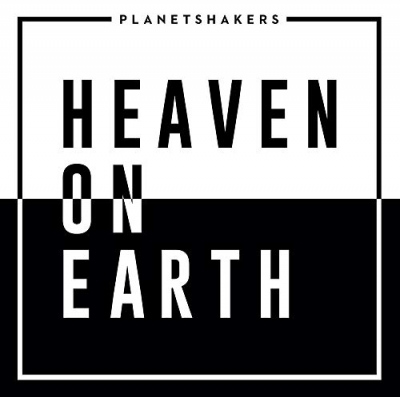 Internationally recognized praise band Planetshakers recorded Heaven On Earth during Planetshakers Kingdom Conference held in Melbourne, Australia this past April at Hisense Arena and at its regional conferences attended by tens-of-thousands in Philippines, Malaysia and Singapore. The new, 15-song digital album, 14-song CD and 10-track DVD are releasing Oct. 19 from Venture3Media (V3M) and are available to preorder beginning tomorrow (Oct. 12) at iTunes, Amazon.com and Christianbook.com. The “Heaven On Earth” title track, which was produced by Bryan Fowler (TobyMac, Chris Tomlin) and Micah Kuiper, is further available (Oct.12) at all digital retail and streaming platforms and will go for adds at AC and CHR radio this month via a team of leading radio specialists. A tangible, intentional expression of worshippers collectively pursuing the presence of God, Heaven On Earth highlights worship leaders Sam Evans, Joth Hunt (who also produced and mixed the album), BJ Pridham, Rudy Nikkerud, Chelsi Nikkerud and a full team of musicians, dancers and more. Many of Heaven On Earth’s songs were also broadcast live from America’s largest faith-based television network, Daystar, into more than 180 countries worldwide during Planetshakers Kingdom Conference and from the arena park where the world normally watches the Australian Open Tennis tournament and other prestigious international sporting competitions. Together with the CD, the 10 videos on Heaven On Earth’s DVD each share a live, multi-camera visual experience. The recordings capture the gathering’s dynamic atmosphere seasoned with singing, call and response, dancing and shouts of praise. The first eight of these videos have also already been streamed more than 4.1 million times on YouTube alone.